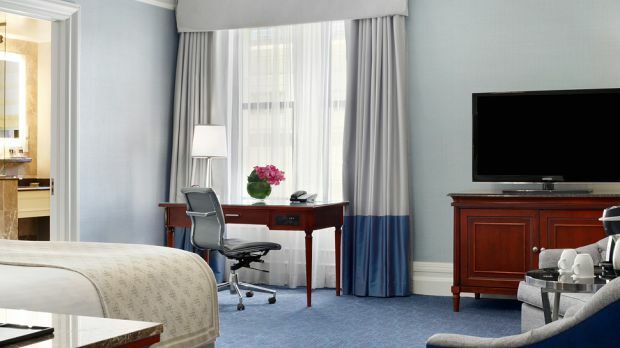 The Fairmont Copley Plaza is located on St James Avenue, approximately 15 minutes from the Logan International Airport. Look for the hotel's resident Black Labrador, Catie Copley, who lives in the lobby. Arrive at the front entrance of The Fairmont Copley Plaza and walk through the ornate, gilded hallway known as Peacock Alley. Check in at the opulent front desks, with gold accents shining underneath a domed sunroof before walking through a hallway adorned with chandeliers and intricate carpets. 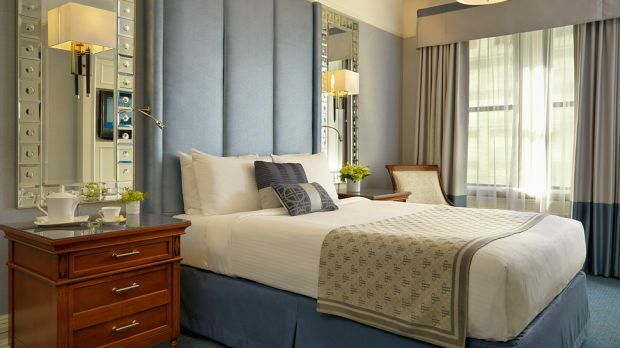 Enter one of 383 spacious guestrooms, recently renovated in a chic, classic design. Breathe deeply. Walk down to the OAK Long Bar + Kitchen, an American brasserie style concept with a selection of hand-crafted cocktails and a variety of delightful cuisine. Savor the meal and head to bed relaxed and satisfied. 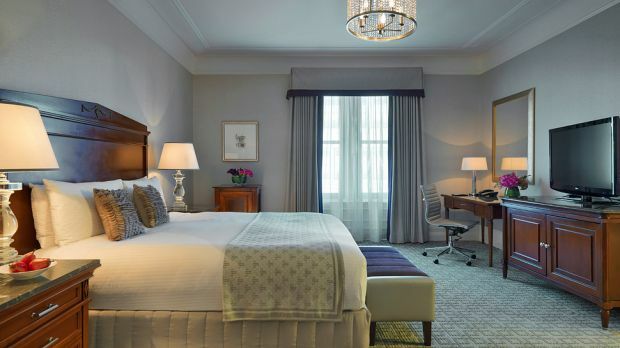 With an itinerary full of Boston landmarks, the Fairmont Copley Plaza helps you prepare for and relax during your stay in this historic city. Send an availability request with your requested dates to the Fairmont Copley Plaza, Boston.